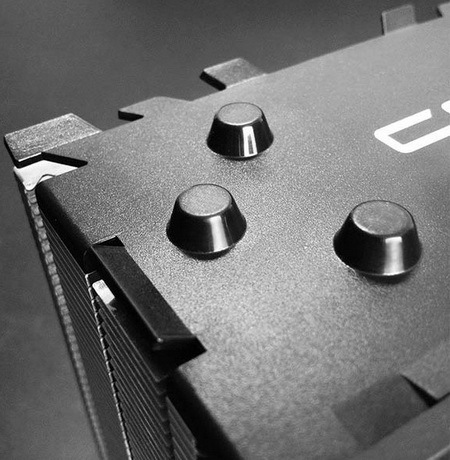 In the early spring of last year, we met with the first cooler newly established company Cryorig LLC. – CRYORIG R1 Ultimate . The technology, which incorporates several interesting design decisions, not to lose face and deservedly received the title of super-cooler. 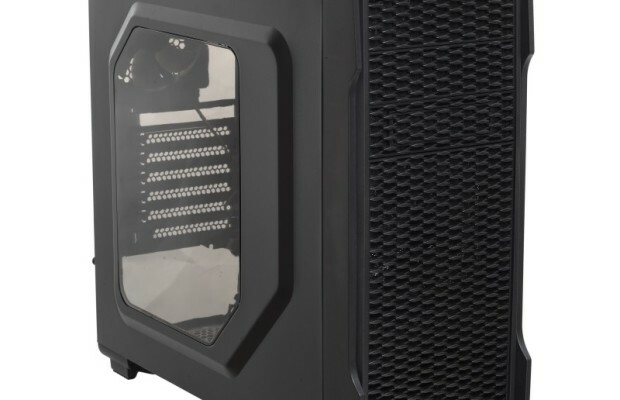 Over the past year the company has released two more air cooling system – C1-top design for ITX-systems and tower CRYORIG H5 Universal . The latest model we are testing today. 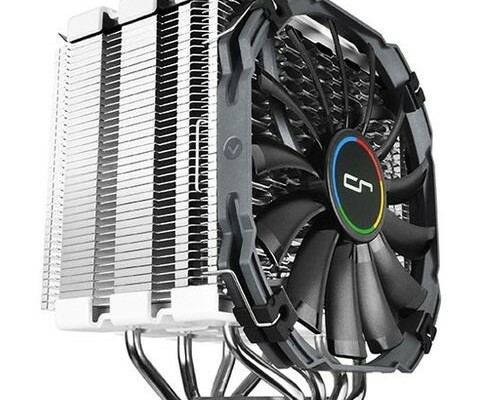 Technical characteristics of the cooling system CRYORIG H5 Universal listed in the table. CRYORIG H5 Universal sealed in a cardboard box with a medium-sized image of the radiator and cooling fan on the front side. On the reverse side of the package shows the dimensions of the cooler, specifications and a list of supported processor socket, and on the side are the key features of new items. Inside the main shell inserted additional cardboard “corset”, securely locking the cooler. In the side compartments of the box are complete. Among them, reinforcement plates for Intel and AMD, a set of screws and bushings for mounting, two staples to install alternative fan, L-shaped screwdriver, installation manual and thermal grease CRYORIG CP9. As 99% of other cooling systems, CRYORIG H5 Universal produced in China. The recommended value of the cooler is declared at the level of 46.99 US dollars. Warranty period – 3 years. 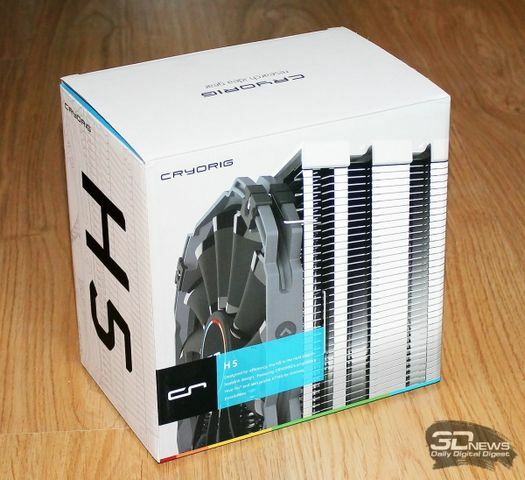 CRYORIG H5 Universal – CPU cooler tower design with a very attractive design. Thin black glossy fan blades which is in contrast with the plates as well as plastic inserts with white at the top and bottom of the radiator. In other words, looks cooler looks seasoned, but not boring and can fit well into any stuffing the computer chassis. CRYORIG H5 Universal height is 160 mm Width – 143 mm and a thickness of 98 mm. Four copper heat pipes with nickel intercostal spacing of 2.5 mm pressed onto 38 aluminum plates of 0.4 mm thickness. Interesting is the structure of the radiator inlet airflow consists of cell-cell.The sides of the radiator partially closed curved ends down edges and the top and bottom radiator fringe plastic lining, which, in our opinion, in terms of cooling efficiency is absolutely unnecessary. This feature is called the cooler Jet Fin Acceleration System and has a dual purpose. Primarily, such a structure enables the edges pass through a larger volume of air flow, wherein it compresses the output of the cells, increasing the speed of its passage through the ribs. The second purpose of these cells is the structuring of the air jets, reducing turbulence, which should also help improve the efficiency of heat transfer. Radiator outlet such optimizations not, although the ends of the ribs are also variable height. The second technology, claimed CRYORIG H5 Universal, is the XL Surface. As such, it is not technology at all, but the emphasis manufacturer of attention in a large area of ​​the radiator cooler. Indeed, the calculated area of the radiator CRYORIG H5 Universal relatively large for the “tower” – 8400 cm 2. Four six-millimeter heatpipes evenly penetrate the radiator, two rows, in all of its area. At the bottom of the tube lie in the grooves with a 2 mm distance from each other. The minimum thickness of nickel-plated copper plate under the tube is 2 mm. Traces of solder to be seen. To be a perfectionist, then, in our opinion, four heatpipes for this radiator is not enough, and being closely stacked in such a ground, here would be ideal to fit six. Visual processing quality of the contact surface of the base dimensions 42 × 38 mm leaves much to be desired – the marks of the cutter can be seen with the naked eye. However, tactile surface is perfectly smooth, so that the reasons for concern in terms of quality there is no treatment. As for the flatness, the full print when first installed, we were unable to obtain – one corner of the base is not adjacent to the processor. When you rotate 90 degrees cooler goal was achieved, albeit with a clear focus on the middle zone of the processor heat spreader due to its convexity. 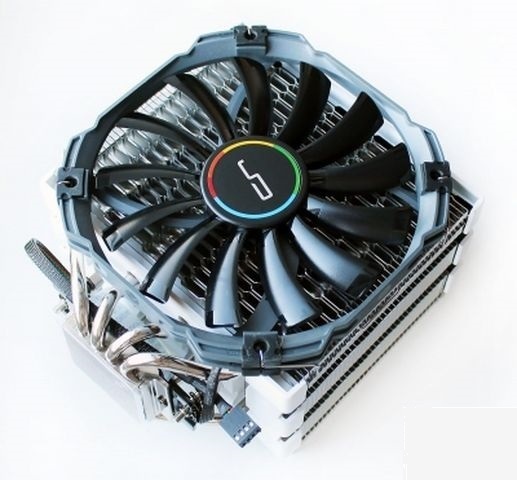 It is not hard to guess that the fan is 13 mm will not be able to develop sufficient pressure to efficiently pump air between the fins of the radiator, but the manufacturer has gone to such a step, to ensure cooler compatible with memory modules of any height.If flagship CRYORIG R1 Ultimate is equipped with two fans in size 140 × 140 × 25 mm, then CRYORIG H5 Universal set one thin CRYORIG XT140 dimensions 140 × 140 × 13 mm diameter impeller trinadtsatilopastnoy 131 mm. That is, it is clear that priority was given to it compatibility than cooling efficiency, the more that speed range of the fan is only 700-1300 rev / min (PWM control). Maximum air flow is stated at around 65 CFM, with the noise level – from 20 to 24 dBA. 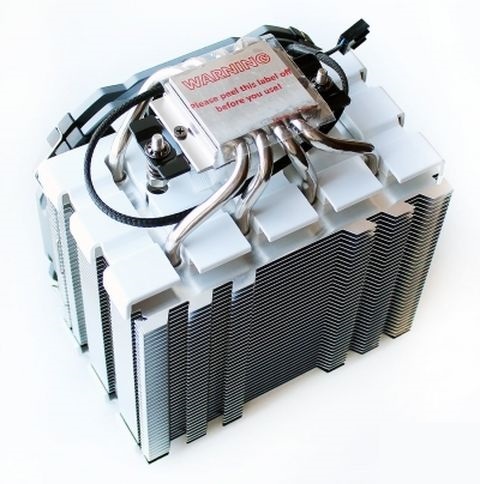 Proprietary solutions applied in the fan, you can select a high-precision and silent bearing HPLN, as well as silicone inserts to reduce the transmission of vibrations of the fan on the radiator. Stator fan diameter 45 mm, except for the name of the manufacturer and the website address is given only voltage – 12 V.
According to the results of our measurements, the fan at full speed consumes 3.46 W and started at 4.3 V. The cable length in a synthetic braid is 305 mm, and weighs only 89 grams fan. Securing CRYORIG XT140 on the radiator via the two wire clips. An additional pair of brackets complete with cooler will set him another fan, with a standard 25-mm thickness. CRYORIG H5 Universal confirms part of its name because absolutely versatile and can be installed on any platform. 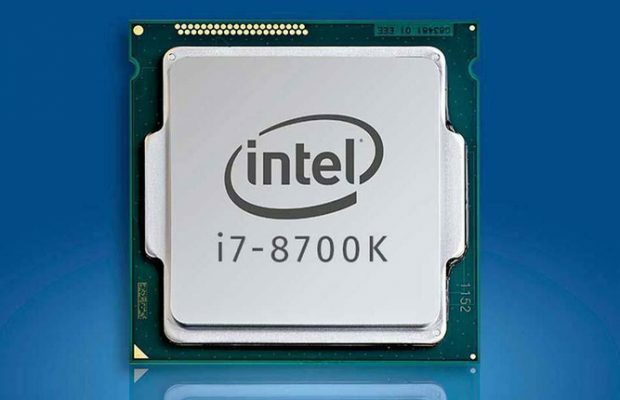 There is even support for the old Intel LGA775. The installation procedure is described step by step instructions , in addition, on the official website there is a video with the process , after watching that CRYORIG H5 Universal install even a girl from the initial years of secondary school. To install the cooler on the motherboard with LGA2011 need to screw into the plate processor socket rack thread. Then, these two racks mounted nuts support plates. 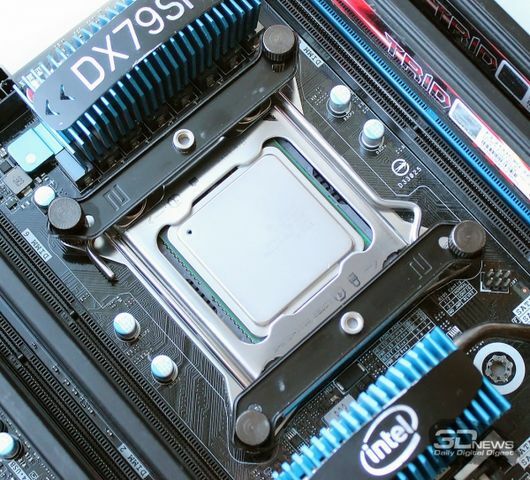 Then install the cooler, do not forget to apply thermal paste, and uniformly attracting its spring-loaded screws using the L-shaped screwdriver, inserted directly into the through holes in the radiator. Contact pressure is very high, the cooler tightly literally “grows” into the motherboard. After setting the distance from the motherboard to the bottom of the cooler was found to be 42 mm, but the fan hangs lower, so it remains to only 29 mm. However, as we mentioned above, CRYORIG H5 Universal is designed so as not to interfere with any memory modules, and it really does not disturb you. 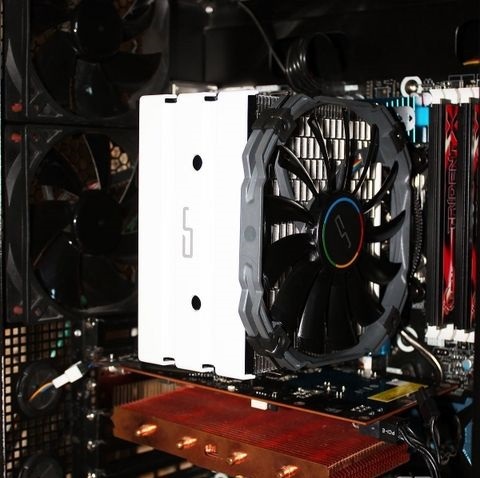 We add that the height of the installed processor CRYORIG H5 Universal is 167 mm.